The aerospace and defence sectors are a completely different market sector for Pressmark. From the low-volume specialist vehicles in the defence sector, to the tight tolerance products that are produced for the aerospace sector, our expertise and experience assist these unique markets. With vehicles in “theatre” requiring more and more sophisticated electronics to protect the vehicles and their occupants, weight is a key concern on these vehicles, so using our experience in specialist alloy materials can prove invaluable. 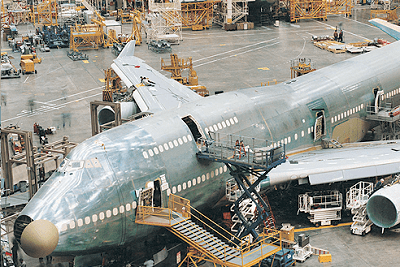 Lightweighting and quality in the aerospace sector is also key, as fuel efficiency and safety are a focus for all airlines wanting to remain both competitive and safe. Utilising the honed skills within our business, we can add value to your business by not only saving time on designing the required product, but designing it for manufacture too. By understanding the needs of your business and the capabilities of ours, we can ensure that you get great value for money with a product that is fit for purpose. New product development is the complete process of bringing a new product to market. A clear understanding of the customer requirements, along with the competitive environment and the nature of the market, represent the most important factors for the success of a new product. Pressmark are capable of producing a Failure Mode and Effects Analysis (FMEA), which is the first step of in any reliability study. By reviewing the product to identify failure modes, and their causes and effects, we can record the failure modes and their resulting effects on the rest of the system in a specific FMEA worksheet. By utilising Finite Element Analysis (FEA) software, Pressmark can reduce the need for costly prototypes, eliminating rework and delays, as well as saving time and development costs. Our FEA software allows us to analyse our metal components by either linear or nonlinear stress analysis.